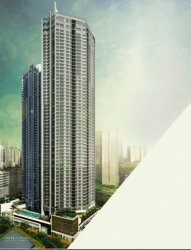 For one last time, at the heart of Makati City, Ayala Land Premier unveils the rare opportunity to call Ayala Center home…. Beginning with a seamless integration into Palm Promenade, Glorietta's landscaped concourse; an astonishing green lobby core welcoming residents home; and throughout the towers, lush areas for convergence at 2 floor intervals until the highest residential floor. ELEVATING GARDEN EXPERIENCE TO HIGH ABOVE THE CITY!